This will be fun...nothing makes me happier than making someone smile. Yesterday I went to Pittsburgh with Chrissy to pick up my glasses and I also picked up a few smile makers to be sent out. 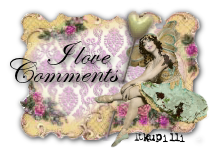 Have you been reading the blogs....about the new products for CHA....Tim Holtz and Wendy Vecchi have really taken it over the top....Exciting stuff....now, we just wait, and i want it all now. It is suppose to get really cold this weekend so it will be a perfect opportunity to work on my surprise boxes. I think I will dig out the glitter, Oh wait, no need it is always out. You crack me up with the glitter!! :O) too funny....Is Scott all glittered up cause he sat a lil' too long????? LOL!! Have a great weekend....stay safe...and warm!! My goodness....it's just loverlee out no!! NO!! !